Ukiah Unified School District is excited to announce that 34 students have graduated from the Ukiah Adult School Vocational Nursing Program in a ceremony at Ukiah High School on January 24, 2019. These nurses have now fulfilled their educational requirements and are ready to take the National Council Licensure Examination for Vocational Nurses and begin their careers caring for others in and around our community. The process for acceptance into the Vocational Nursing Program was highly competitive, students were selected from a large initial group of 130 applicants. Interviews were given to 80 students, 37 were accepted into the program, and 34 graduated. 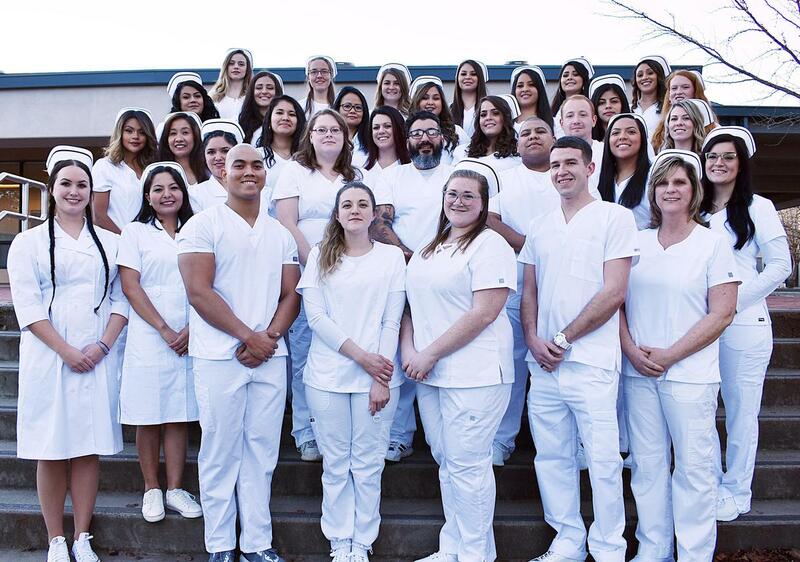 The graduates have been involved in the Vocational Nursing Program for 18 months, each completing 1530 hours of combined theory and clinical hours required by the State of California to become Licensed Vocational Nurses. The 2019 graduates are a diverse group, some traveling many miles to take part in the program. The graduates are from Mendocino, Lake, and Sonoma counties, but some were born outside the United States in countries like Nepal, Mexico, and the Philippines. This class received financial aid in the form of grants and scholarships equaling approximately $200,000, or 83% of their combined tuition cost. Clinical training for the graduates took place at a variety of medical facilities around Mendocino County including Ukiah and Lakeport Post Acute, Mendocino Community Health Clinics, Rocky Point Care Center, Ukiah Valley Rural Health Center, Clearlake Family Medicine Clinic, Cloverdale Healthcare Center, Da Vita Dialysis of Clearlake, Redwood Cove Healthcare Center, Small Wonders Preschool, Lake County Hospice, Sutter Lakeside Hospital, and Adventist Health Ukiah Valley. A Licensed Vocational Nurse (LVN) gives total bedside nursing care, assisting the patient who is being cared for in a hospital, at home, in a skilled nursing facility, at a doctor's office, or at other outpatient facilities. They provide basic medical care to patients and typically work under the guidance of a registered nurse, physician's assistant, or doctor. When assigned, the LVN may also give medications and treatments. 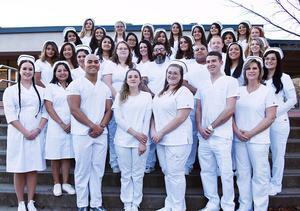 Vocational Nursing graduates include Brianna Rose Ardis, Laura Arechiga, Estefania Arredondo Valdez, Liliana Barrera-Lemos, Maria C. Bermudez, Wil Cody Boyes, Bobbie Burns, Taylor Caitlyn Burrell, Maria G. Ceja Valencia, Emilie Chairez, Vanessa Anne Cummings, Roseleigh Macias-Dockins, Roshell Lynn Dunlap, Emma Jean Elwood, Michael Guzman, Samantha Jackson, Christina Ann Jamison, Manisha Khatri, Jenny Marie Grossi, Yadira Lopez, Evangelina Márquez Alcalá, Elizabeth Jade Mock, Ahsley Michelle Needham, Tyler Thomas Newberry, Jesus F. Orozco, Ruby Peña Franco, Sandra Peredia Ramirez, Naina Kumari Rai, Pamela Ann Schenone, Ramita Shakya, Eril R. Udarbe, Emma C. Ulloa Benitez, Esmeralda Vargas, and Reese Mackenzie Wise. If you are interested in the Ukiah Adult School’s Vocational Nursing Program, please visit www.adultschool.uusd.net, call 707.463.5217 for more information, or stop by the Ukiah Adult School at 1056 N. Bush Street in Ukiah, CA.